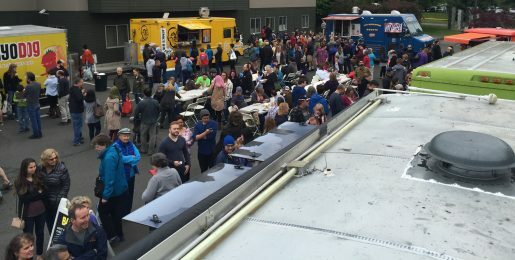 Remember back in May when the food truck rodeo was such a huge hit on opening day at the Lake Forest Park Farmers Market? Well, the rodeo is back in town this Sunday from 10-3! Yes, the LFP Farmers Market is ramping up for another exciting day of delicious, mobile delicacies to suit all tastes. From familiar, down home comfort food to exotic fusion originals, there’s sure to be something for everyone. 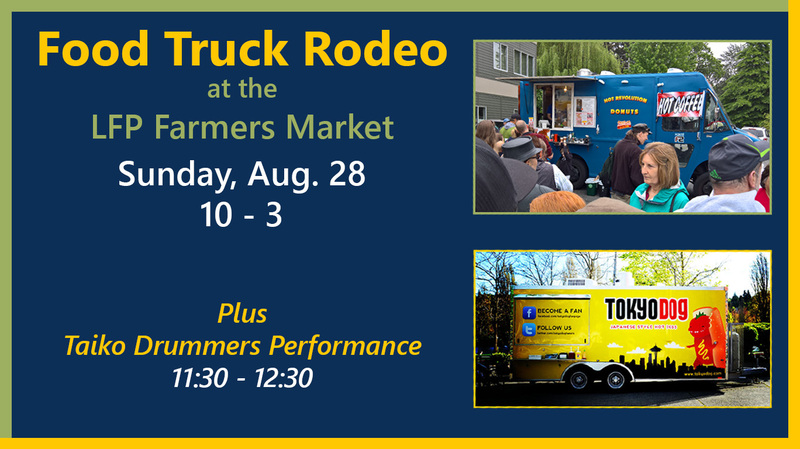 Of course, the market will also be chock full of all your regular favorites like Vespucci Pizza, Patty Pan, Drummin’ Up Wontons, Whidbey Island Ice Cream, and Seattle Pops! Plus more fresh produce, meat, eggs, and cheese than you can shake a carrot stick at! So whether you’re hankering for something spicy, sweet, or simply delicious, you’re sure to find it at the market. 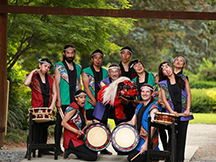 As a special bonus, the drummers of Seattle Kokon Taiko will drop by for a stirring performance from 11:30 AM to 12:30 PM. Taiko are Japanese drums that play a vital role in many Japanese folk arts and taiko performances offer an exhilarating combination of drumming and movement it that is deeply rooted in Japanese folklore. You won’t want to miss this thrilling performance! The LFP Farmers Market is presented by Third Place Commons, a community-supported 501(c)3 nonprofit organization dedicated to fostering real community in real space. The market is open from 10am to 3pm every Sunday through October 16th and takes place in the parking lot of LFP Town Center adjacent to City Hall at the intersection of Bothell Way NE and Ballinger Way NE. Next Post: Free Latin Music Series Starts September 2nd!